Most number of beard hair grafts possible? What is the most number of beard hair grafts that can be taken from a thick beard? Are the hair around the chin area better caliber than those of the cheeks/upper cheek? How does each facial area’s hair compare relative to scalp hair in terms of growth phase, thickness etc…? » scalp hair in terms of growth phase, thickness etc…? The amount of beard hair grafts available for transplant varies. There are individuals with scanty beard as well as those with ample. A person with above average to thick beard will have >5000 grafts harvestable. We have extracted upto 6000 grafts from the beard area in a repair HT patient, with him still having a beard to shave. However, beard hair extraction needs better donor management and conservation than the scalp donor. Indiscriminate harvesting without keeping the aesthetics in mind will be deleterious. So is the chin area better quality hair or is the cheek area better quality hair in most patients? Have you had cases where the beard hair grows better and longer and STRAIGHTER than scalp hair? I am concerned that it could grow very curly. » keeping the aesthetics in mind will be deleterious. Dr. A, can you give more details about the donor management ? It doesn’t seem to be the case with some of the beard donor pics I have seen, almost all the beard hair donor pics I have seen are spotless. » » keeping the aesthetics in mind will be deleterious. » all the beard hair donor pics I have seen are spotless. There are issues beyond visible scarring that need to be kept in mind when extracting the beard hair. I shall elaborate on them soon. Dr. A what do you think of this? NEW YORK (October 16, 2003)- Beard whiskers, carefully removed, may offer an inexhaustible supply of hair for transplantation to the scalp. 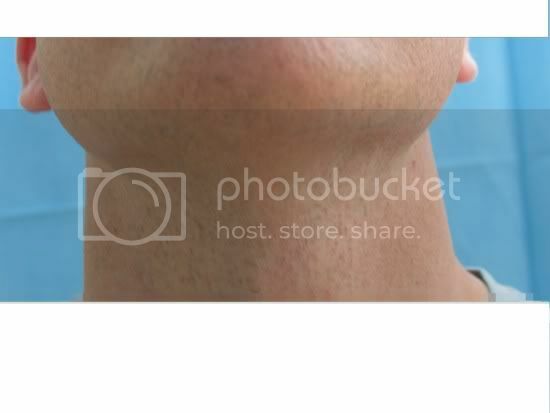 With proper removal technique, the continued growth of beard hair at the removal site is not compromised. This “auto-cloning” of beard hairs may be particularly effective for balding men who have little scalp hair left for transplantation, and for persons whose scalps have been scarred by injury or burns, according to Gary Hitzig, MD, New York. Dr. Hitzig, a physician hair restoration specialist in private practice, reported on the successful “auto-cloning” of beard hair today at the 11th Annual Meeting of the International Society of Hair Transplantation Surgery (ISHRS). The ISHRS is meeting October 15-19 at the Marriott Marquis Hotel, New York City. The transplantation of beard whiskers to the scalp without compromising continued growth of the beard was undertaken by Dr. Hitzig following research reported by Dr. J.C.Kim, Pook University, Korea. Dr. Kim reported research showing that each human hair can theoretically be split into two, and produce two hairs from one. This requires enough “stem” cells be present in each portion to regenerate the full follicle. Dr. Hitzig designed a study, enlisting five men, that was based on Dr. Kim’s work. Using a specially designed “tweezing” tool, Dr. Hitzig removed beard hairs from the men by extracting enough of the follicle to produce a new one when implanted, but also leaving enough of the follicle to continue growing new beard hairs at the donor site. This suggested that beard hair would not only not be depleted, but could serve as a non-depleting source of hair for future transplantation. In men who experience hair loss over most of the scalp, so much hair may be lost that little or none is left for transplantation. The lack of donor scalp hair may limit the benefits that these men could realize from transplantation. A non-depleting supply of donor hair could a substantial benefit for these men. Dr. Hitzig chose coarse hair from the chin or sideburns for transplantation in the reported study; the coarse hair demonstrated greater vitality than finer hair after it was transplanted to the scalp. Earlier studies had shown that less coarse hair had less vitality after transplantation; patients also experienced less discomfort from plucking of hair from the chin or sideburns. The five men in the study shared the characteristics of age (40-57 years old), having had previous hair transplants, and lack of adequate donor scalp hair for future transplants as balding progressed. Results of the study demonstrated the potential of bear hair transplantation to the scalp, Dr. Hitzig reported. With the use of coarser chin and sideburn hair, the “take” of beard hairs transplanted to the scalp was more than 80%. Post-transplant hair counts at six months showed increased density of approximately 25 hairs per 30 hairs transplanted. Examination of beards in the five men showed no change in pre-plucked density, suggesting that the follicles left intact had continued to produce new hairs. 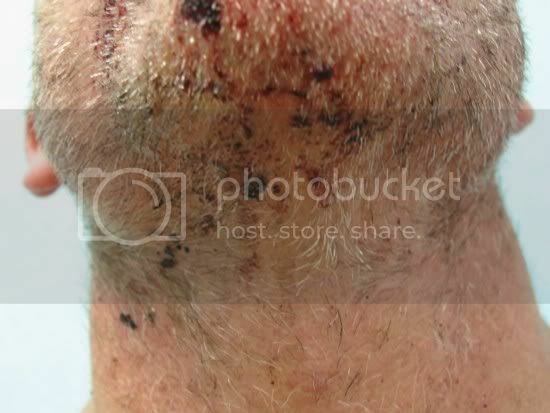 The transplanted beard hairs retained their coarse “chin whisker” characteristics after transplantation into the scalp. The thickness of the transplanted beard hairs provided good coverage of the scalp at the transplant site, Dr. Hitzig said. Expanding upon successful beard hair transplantation in the five men studied, Dr. Hitzig has completed a preliminary study in which several beard hairs were transplanted into scars created by previous harvesting of donor scalp hair. Results of this preliminary study have been encouraging enough to indicate the potential of beard hair transplantation into scarred scalp, Dr. Hitzig said. Although “auto-cloning” was used to describe Dr. Hitzig’s procedure, no actual cloning was involved. Dr. Hitzig’s process is a transfer of hair and its genetic programming to a new site, where the hair continues to replicate the appearance it had at the donor site. The “cloning” usually reported in hair restoration studies is in vitro (laboratory dish) replication of hair follicle cells-a technique that is more correctly called tissue engineering. Varying degrees of success have been reported in studies of in vitro replication. True cloning-transfer of genetic material into a cell to replicate a “mother” cell-has not been reported for purposes of hair restoration. The ISHRS is the world’s largest not-for-profit professional organization in the field of hair restoration surgery, with 512 physician members in 45 countries. The organization was founded in 1992 to promote the advancement of the specialty of hair restoration surgery through education, information-sharing, and observance of ethical standards. » that it could grow very curly. A lot can be understood by looking at naturally growing beard in humans. Beard hair have a wide variety when it comes to calibre and color, even in the same individual. Hair of relatively lesser length. Thus, the hair near the chin, in most individuals is thicker and longer. The HT doctor and the patient will have to decide which beard hair to use in which location. In our experience, transplanted beard hair does not change its characteristics. Beard hair, in most individuals, grows long enough in its original location. One of the prime essential when extracting from the beard donor area is to make sure that the remaining beard does not look unnatural. Even if the patient does not grow a beard, patchy empty areas in the beard will show if the beard is left unshaven even 1 or 2 days, if excessive hair are extracted from localised areas of the face. In that respect, its essential that the extractions be performed in such a way as to leave behind a natural looking beard growth. Near total/total extractions of beard hair should first be carried out towards the edges of the beard, not the centre areas. the beard hair growth on the upper rows on the cheek. The central areas refer to the chin and the jaw bone area. A scanty growth on the chin and jawbone, surrounded by thicker hair growth on the neck or the cheek will not look natural even at the smallest stubble stage. Thank you for pointing the article to our attention. » Dr. A what do you think of this? » site is not compromised. » Gary Hitzig, MD, New York. » present in each portion to regenerate the full follicle. » Dr. Hitzig designed a study, enlisting five men, that was based on Dr.
» donor hair could a substantial benefit for these men. » hair from the chin or sideburns. » scalp hair for future transplants as balding progressed. » increased density of approximately 25 hairs per 30 hairs transplanted. » transplant site, Dr. Hitzig said. » scalp, Dr. Hitzig said. » replicate the appearance it had at the donor site. » reported for purposes of hair restoration. » information-sharing, and observance of ethical standards. » » all the beard hair donor pics I have seen are spotless. » make sure that the remaining beard does not look unnatural. » are extracted from localised areas of the face. » way as to leave behind a natural looking beard growth. » towards the edges of the beard, not the centre areas. » the beard hair growth on the upper rows on the cheek. » The central areas refer to the chin and the jaw bone area. Yep, those are definitely the aesthetics that are mentioned. Beyond the ability to perform strip surgery, the dynamics of harvesting other areas of the body have to be taken under consideration. Dr. A., what do you find are the rules to follow for chest hair extraction? Is the best donor area between the pectorals? And does it look unnatural if you havest too much from any one area of the chest? » » » all the beard hair donor pics I have seen are spotless. » » make sure that the remaining beard does not look unnatural. » » are extracted from localised areas of the face. » » way as to leave behind a natural looking beard growth. » » towards the edges of the beard, not the centre areas. » » the beard hair growth on the upper rows on the cheek. » » The central areas refer to the chin and the jaw bone area. » the body have to be taken under consideration. » unnatural if you havest too much from any one area of the chest? The aeshtetics involved in facial donor extractions are more important than any other donor area.Not only because it is most visible, but also because its kept shaved by most people AND most people develop a stubble at end of 24 hours. The other body donor areas, including the chest present more leeway in terms of extraction density. Of course, one must remember to leave behind a natural looking hair growth in the donor area. Dr. Arvind have you come across patients who got zero growth from beard donor? Is it a relatively safe bet is what I am asking. You could probably remove a couple thousand but that would depend on the patients’ follicular density in the area. Follicular density on the beard area happens to be significantly populated with many FUs. » donor? Is it a relatively safe bet is what I am asking. I have not come across any low/no yield from beard donor hair.